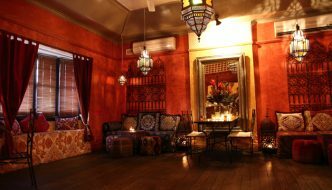 Mofo Lounge and Morocco Lounge are great spaces to host your next special event. We offer exceptional service and can tailor a package to suit your requirements. With both upstairs and downstairs at 157 Greville St, Prahran, these two intimate spaces can cater to small or larger functions. These rooms seriously have to be some of the most beautifully furnished spaces to party in Melbourne. If you’re looking for a laid back relaxed vibe party, this is the venue for you! Mofo Lounge (Ground Floor) is an ideal party venue with a capacity of 20 – 35 guests, service tailored to your requirements and in a excellent location!. 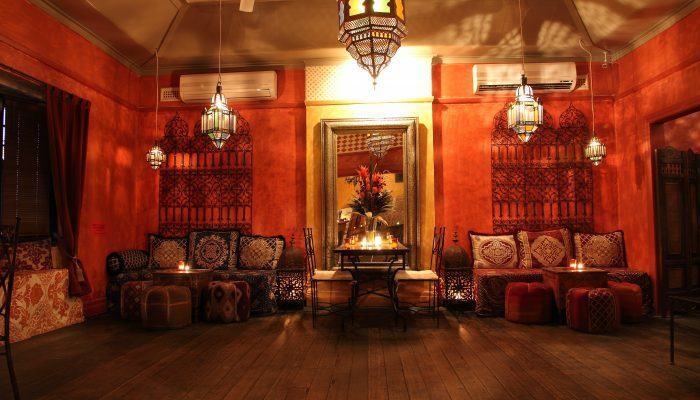 It is a gorgeous, Moroccan inspired, intimate venue perfect for small groups. It’s unique size allows a smaller function like yours have exclusive hire of an entire venue, opposed to sharing a larger venue with other parties. You have your own bar, wait staff, audio and visual equipment. The venue you has ample seating made up of chairs, daybeds, ottomans and couches. An intimate venue truly creates the party vibe and guests tend to dance anywhere within the space. 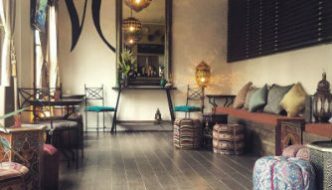 Morocco Lounge (First Floor) is an ideal engagement party venue with a capacity of 60 – 114 guests, service tailored to your requirements and in a excellent location! 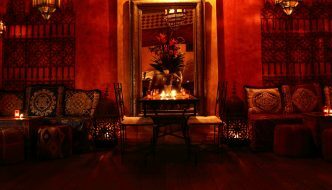 It is a stunning events space adorned in rich Arabesque tapestries, large ornate mirrors and antique lanterns from Morocco which dapple the walls with intricate patterns. Large luxurious daybeds, a private bar and private dance floor make this an impressive setting for any special event. The venue offers ample seating, for those who want to sit and relax, as well as the perfect dance floor area! Friday is the new Saturday! The best parties and events we host are usually on Friday nights! We think there are some definite reasons why! - Everybody is always pumped on a Friday once work is done and dusted for the week. We always see better attendance numbers at our Friday night events! 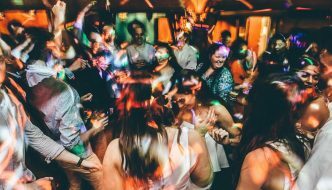 - WHOLE weekend to recover - Knowing that there is not one but two days to recover means your guests will party harder and really get into the spirit of the evening! - Enjoy the weekend - By partying on a Friday night, you’ve still got Saturday and Sunday to relax and do what you love. It won’t feel like the weekend has flown by in a blur! - $$$$ - Best of all, our Friday nights are cheaper! We are offering the ultimate party starter package - FREE Bottle of Bubbles, Platter of Turkish Bread & dips as well as a Shisha Pipe of your choice! All at no charge Offer applies to Friday Functions booked for March & April 2019. You must mention this promotion at the time of booking. Mofo Lounge is a fantastic venue for a Hens party or party or any kind! Caitlyn was so helpful and replied readily, nothing was too much to ask. The food was delicious and plentiful, the belly dancing a whole lot of fun and the staff were friendly and efficient. 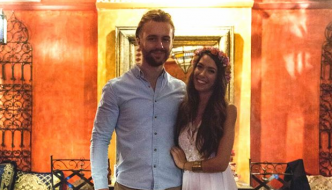 The low minimum spend and the ease with which activities such as belly dancers could be arranged was a huge bonus. I wouldn't hesitate to host another function there and would highly recommend it to anyone. Fabulous venue & location the wine was superb and the bar staff fabulous Alex and Ed thanks so much! Had a wonderful 40th birthday. Have to say also make sure you have music on the night 'Black Suede Band' with DJ Rich were fabulous also! Thanks Caitlyn for helping make this a night to remember.